Long Shaft version. 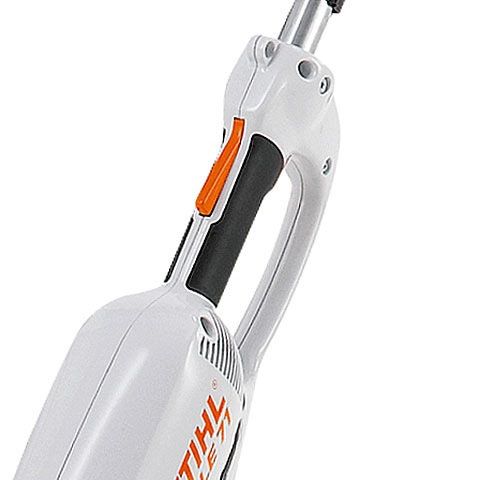 High performance 600 Watt electric long-reach hedge trimmer with 0-125° cutting tool. 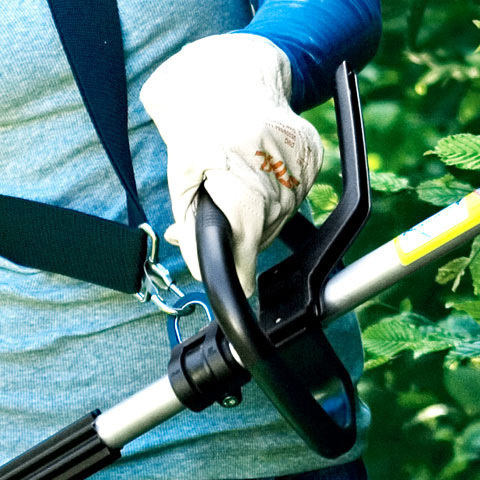 This provides a large working range and is suitable for vertical cutting at a distance from the hedge. 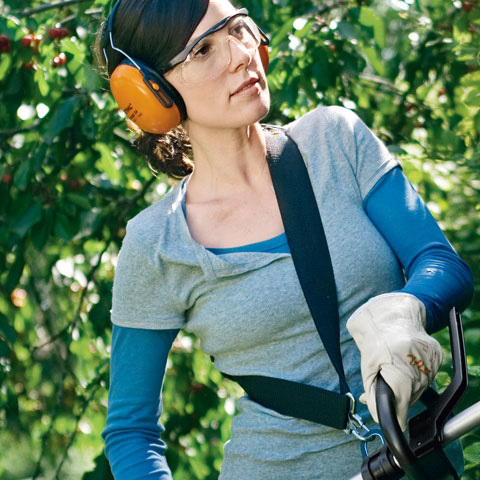 Ground-covering plants and shrubbery can also be cut horizontally. 2.54 m overall length. 50 cm cutting length. 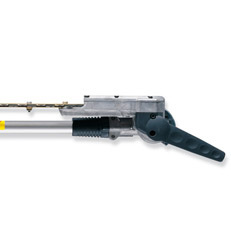 The cutter bar can be adjusted gradually up to 135° in two directions and folded up parallel to the shaft and locked for transportation (transportation mode). The loop handle provides freedom for movement and ease of operation, even under cramped conditions. 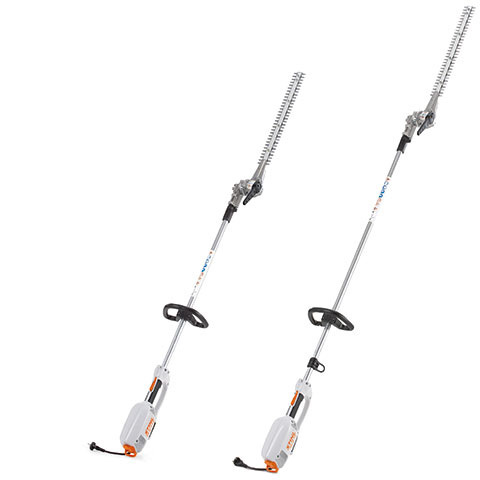 The long shaft hedge trimmer is mainly used on tall and broad hedges. 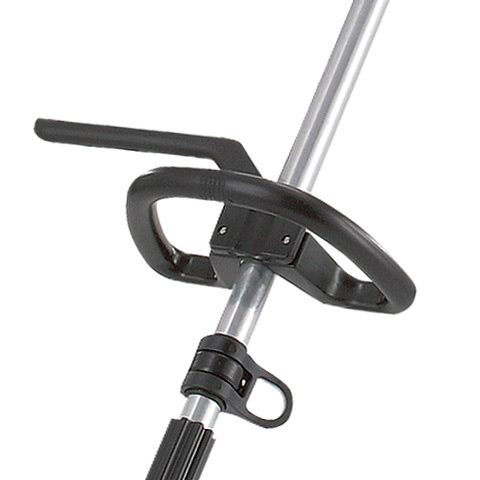 The shorter K versions with extended grip tube are handy tools for working on low hedges. The eyelet for attaching to the shoulder strap can be rotated, so that the appliance can be swung easily. 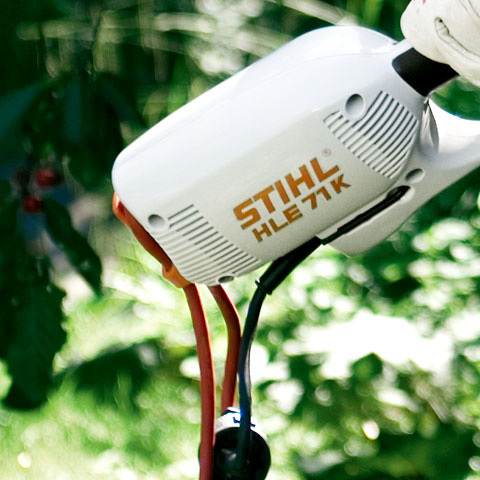 The STIHL shoulder strap makes working for long periods of time less tiring. It allows much more movement whilst holding the device securely.